Comic-book nerds and fairytale fanatics unite! 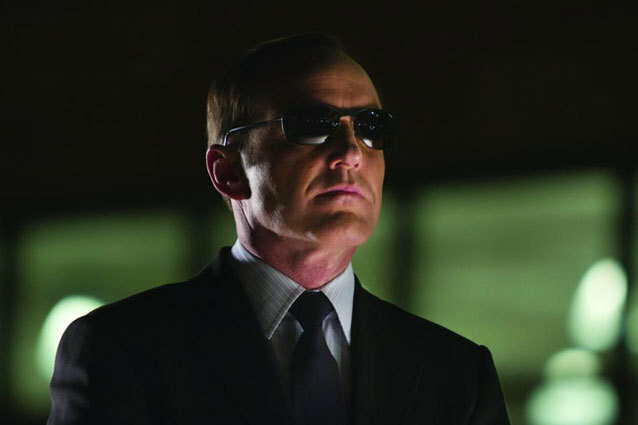 Two of ABC’s most highly-anticipated new shows — Marvel’s Agents of S.H.I.E.L.D. and Once Upon a Time in Wonderland — are making their fan debuts next month at Comic-Con 2013. The alphabet network announced Thursday that the two fall pilots will head to the convention for the first time, along with the fan-favorite and three-time Comic-Con veteran series Once Upon a Time. Kicking off the ABC takeover, Marvel’s Agents of S.H.I.E.L.D. will host a panel on Friday, July 19 with creator and Comic-Con legend Joss Whedon and Marvel’s Head of Television and series executive producer Jeph Loeb. If that’s not enough to get your superhero-loving hearts aflutter, get excited because the show will also be spotlighted at the Marvel Entertainment Booth on the Convention Center floor throughout the entire weekend, with special surprises to be announced. Saturday, July 20 will be an enchanting event as the executive producers Eddy Kitsis and Adam Horowitz, of Once Upon a Time and their new spinoff series Once Upon a Time in Wonderland, take the stage to showcase all their magical new plans for fall. As if that’s not spellbinding enough, the casts of both series will be on hand to answer fan questions and host autograph sessions. To top off the fairytale invasion in San Diego, fans can catch a ride through the city on one of three specially themed pedicabs: the Evil Queen’s carriage, The Jolly Roger, or Alice’s magical mushroom.